As some of you may already know, collecting fragrances has been my passion for many years. If there's one thing I've learned about buying perfumes, it's that the price doesn't always define the quality. I've had some major disappointments with high-end designer scents that just didn't live up to the price tag. On the other hand, a lot of my all-time favourite scents are actually the less expensive ones, found on eBay or a TK Maxx sale. Today's post will be all about my top recommendations for £25 or less - my picks are a mixture of designer and celebrity perfumes, so hopefully there will be something for everyone! Yves Rocher is a French company which offers a wide range of botanical skincare and beauty products. 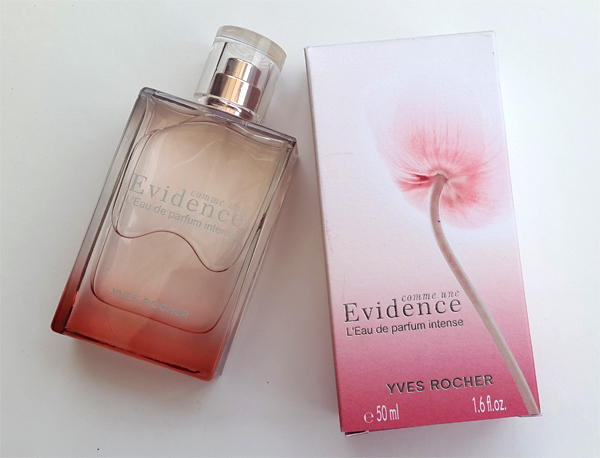 They have some really interesting fragrances, and Comme Une Evidence Intense is one of my all-time favourites for casual autumn wear. 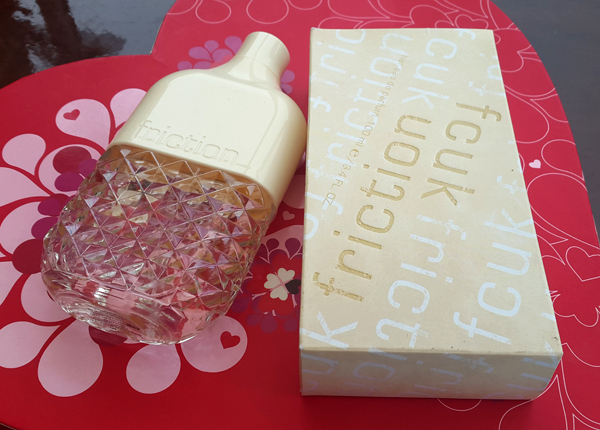 The bottle is elegant and expensive-looking (especially in person), whilst the scent is a lovely combination of delicate rose petals and sweet praline. Try this if you like Lancome's La Vie Est Belle - it's like a lighter, softer, more floral version. Where can I find it? You can purchase this on the official Yves Rocher website for just £22. This is one of those perfumes that I just can't believe is a celebrity scent. I honestly can't recommend it enough - With Love is one of the most unique and intriguing fragrances I've ever smelled. I expected this scent to be quite sweet and generic, but it's actually really exotic and spicy; with notes of mango, amber and ginger. There is barely any sweetness to it at all, and the quality tops many high-end designer brands. Where can I find it? I bought a 50ml bottle of this for just £13.95 at allbeauty.com. You can also find it on Amazon and fragrancenet.com. Pacifica is one of my all-time favourite beauty brands. Their products are 100% vegan, cruelty-free, and sourced entirely from natural ingredients. They offer an interesting range of scents, all of which are very light, natural and approachable. If you find the typical drugstore perfumes to be a little too overwhelming, Pacifica might be a good option for you. 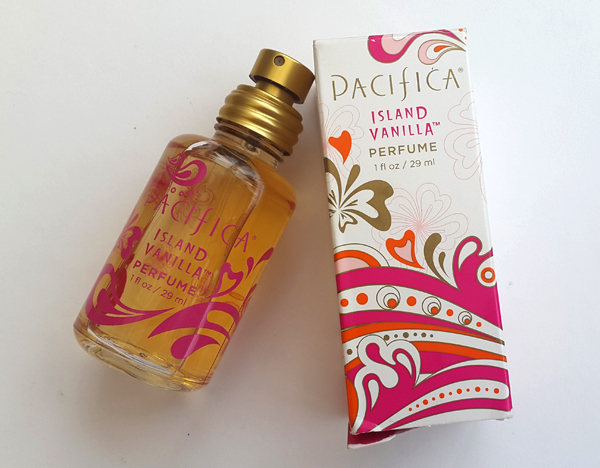 Island Vanilla is my favourite out of the whole range - soft, sweet, with notes of vanilla and white honey. Try it if you like Prada's Candy, or Dior's Hypnotic Poison. Where can I find it? You can purchase this at feelunique.com for just £19. If you live in the US, check out Pacifica's official website at pacificabeauty.com, where you can choose from their entire fragrance range. This is one of my top choices for spring and summer. Especially is a sweet, happy, feminine scent; and it smells just like a big bouquet of fresh, dewy roses. I picked this up for just £10 at my local pharmacy, and I can honestly say, I like it better than a lot of my high-end, expensive designer perfumes. I recommend this to anyone who enjoys feminine, uplifting scents such as Marc Jacobs' Daisy Eau So Fresh or Versace's Bright Crystal. Where can I find it? Allbeauty.com sells this for £22.95, which is much better than the retail price. Try the 'Elixir' version if you are looking for something a little more intense! I may not be a huge Taylor Swift fan, but her fragrances are amongst my all-time favourites. 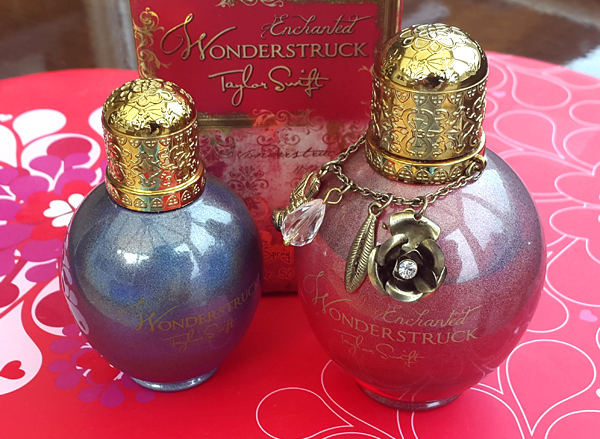 I already talked about Wonderstruck Enchanted in my Autumn fragrance recommendations post - it's a girly, fruity, creamy scent with lots of vanilla and red berries. Wonderstruck is slightly sweeter, with a refreshing green tea note and raspberries. Both of these are easy to wear, casual and likable, and will definitely get you lots of compliments - my boyfriend really loves it when I wear these! Where can I find them? I'd recommend purchasing these at allbeauty.com - the prices range from £10-20 depending on a bottle size, which is a lot cheaper than buying them in-store. If I had to pick one perfume that really taught me why you should never judge a scent by the label, it would be this one. I'm not a big fan of Jessica Simpson, but her perfumes are amongst my all-time favourites. 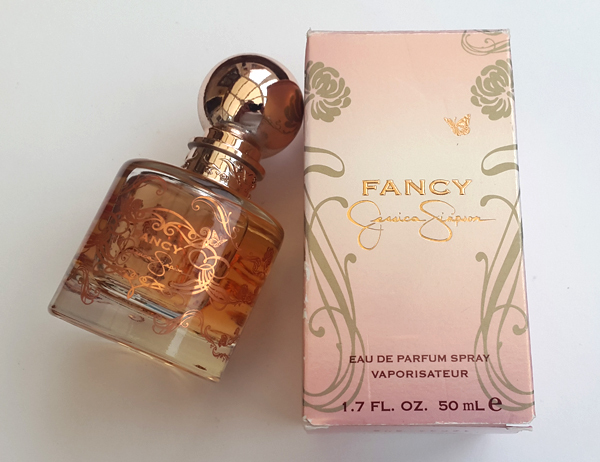 Fancy is a girly, sweet scent which smells like a delicious vanilla dessert; but what's more important - it doesn't smell cheap. The rose gold bottle is absolutely stunning in person, and the scent itself is very well put together; rivaling some of the most expensive designer perfumes in terms of quality. Try this if you enjoy sweet scents such as Prada's Candy, Lancome's La Vie Est Belle or Viktor & Rolf's Bonbon. Where can I find it? I purchased this at allbeauty.com - the smallest, 30ml size is only £12.95, but you can get a large 100ml bottle for £20.45. I decided to include Elixir amongst my top picks because of how unique and original it is. 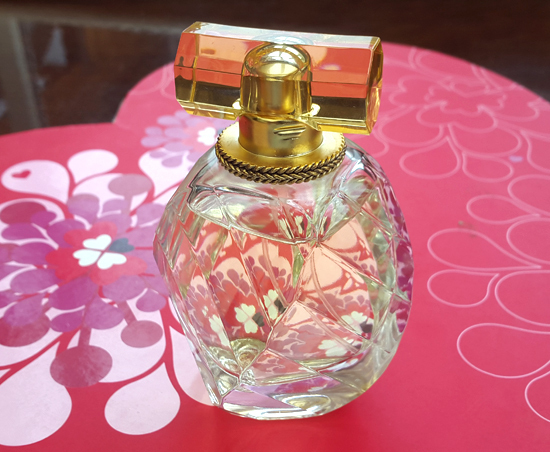 Granted, the bottle itself might be a cheap imitation of Dior's J'adore, but the scent is absolutely gorgeous and unusual. This is nothing like the typical, sweet and fruity celebrity scents - Elixir is quite sultry, dark; with notes of amber, sandalwood and pepper. Try this if you like woodsy scents such as Estee Lauder's Sensuous - this is like a younger, lighter, more casual version. Where can I find it? This might be a little difficult to find depending on where you live, but allbeauty.com sells it for just £16.50, so I recommend purchasing it there. This is one of my top budget-friendly picks for summer months - sweet, creamy, with lots of coconut and vanilla. It smells just like a pina colada cocktail! Friction is a great alternative to more expensive coconut-based scents such as Estee Lauder's Bronze Goddess and Guerlain's Terracotta. The only downside is that it doesn't last very long (about two hours), but for less than ten pounds it's still a great bargain. Where can I find it? Check out your local TK Maxx - that's where I picked up my large, 100ml bottle for just £9.99. You can also find it it on Amazon and fragrancedirect.co.uk at a similar price. What are your favourite budget-friendly perfumes? =) Let me know if you have any recommendations! Thank you for sharing such a wonderful selection of perfume. I think I have an eye on Hilary Duff perfume also. I can't wait to try it! I love Pacifica fragrances too, great picks! 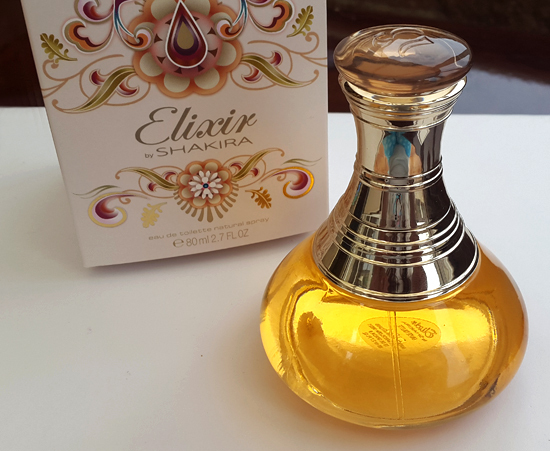 I didn't even know Shakira made a perfume! And it sounds just like you would expect her fragrance to be. I had no idea that Hillary Duff had a perfume, and you've really tempted me to try it, it does sound so unique! I don't have very many perfumes - usually I'm swayed by making a purchase if it comes with a free gift of some sort, haha! I'm not usually a fan of celebrity fragrances (other than the one from Lady Gaga) but Hilary Duff's perfume sounds so lovely! 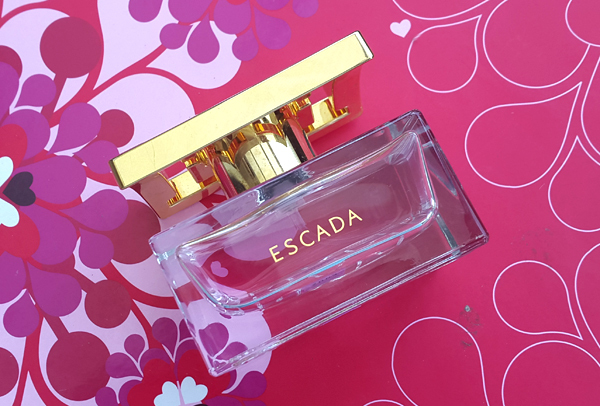 I love the Escada perfume! I will have to try the others! Wow what a lovely post! Great ideas for new perfumes, I have been needing some. I feel the same way about Jessica Simpson, but a lot of time her brand is surprisingly good :) Appreciate you sharing! Thanks so much for sharing, what an insightful post! I hope you have an amazing day, beautiful!